Fifteen months after the July 2019 total solar eclipse another one will cross the same two countries at a different latitude and season. 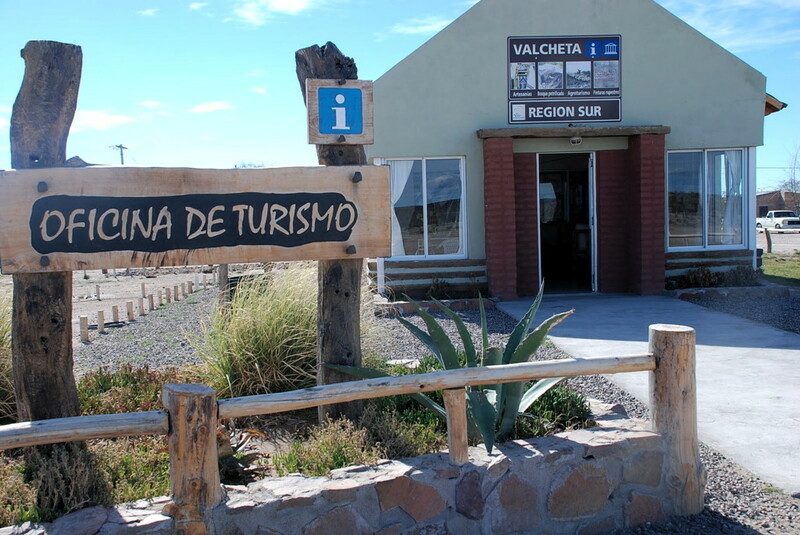 The point of greatest eclipse (totality phase during 2 min 10 sec) lies in Patagonia, Argentina. 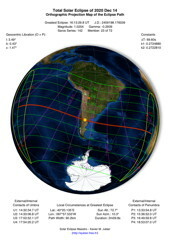 Before reaching Chile or after leaving Argentina, there is no landmass inside its totality path in the Southern Pacific and Southern Atlantic oceans. 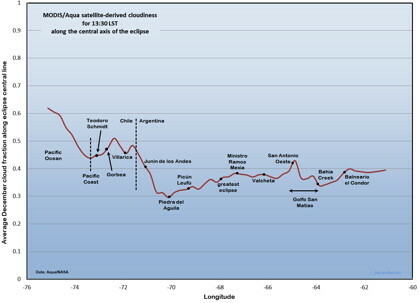 Cruise ships will likely be inside the eclipse path, but for those who prefer to be on firm ground Argentina provides good weather prospects and the longest duration. 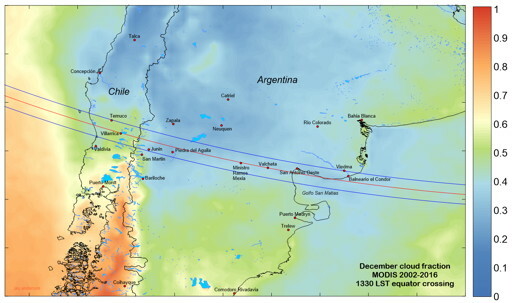 During a period of 10 years, 2010 to 2020, both Chile and Argentina will experience three total solar eclipses plus one annular. This is page "Introduction" | Page "Google Map"
Last page update on May 10, 2009.